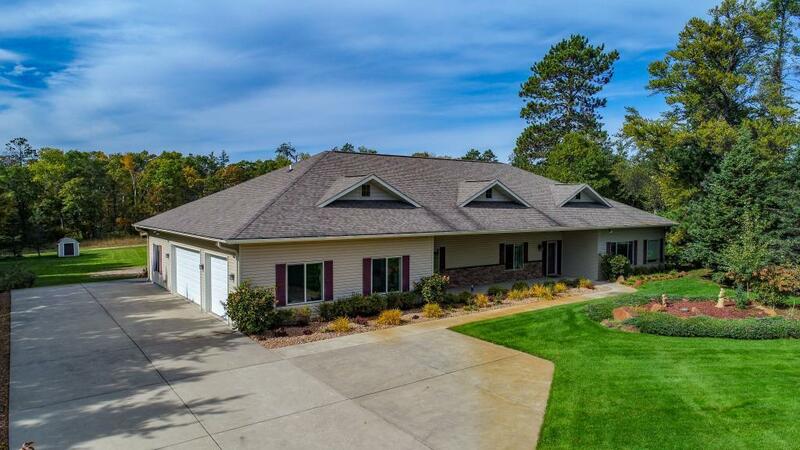 Executive custom-built home with open floor plan on 1-acre in a quiet neighborhood in Breezy Point. One level living includes 3 bedrooms, 2 baths, large master bedroom suite with walk in closets and whirlpool tub, four season porch, hobby or game room, interior screen porch with grill for entertaining, heated garage. Landscaped yard with sprinkler system, fenced in garden area, a back-yard pergola and fire pit area. Close to the new Breezy point clinic, golf courses and restaurants.